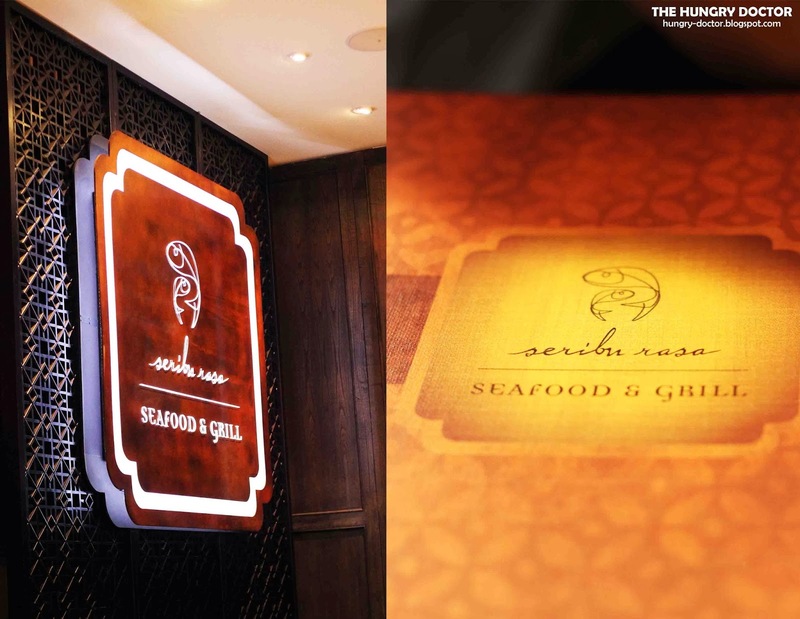 Seribu Rasa is one of best Indonesian seafood restaurant in Jakarta. All the seafood here is served in Indonesian and South-East Asian style mostly singapore, malaysia and thailand. So you can find an authentic asian cuisine here. They're in the same company as Penang Bistro, Hongkong Cafe (HKC) and Tatsuya (all asian food). Seribu Rasa opened first time in Jl. Haji Agus Salim and be one of the most favourite and well-known restaurant, also government officials often come here, and now they already have some branch. The new one is at the new shopping mall too, Lotte Shopping Avenue. Even Lotte Shopping Avenue (Ciputra World) still new, they had so many food place, one of them is Seribu Rasa. I went here with my family and after discover some restaurant, our chosen one was Seribu Rasa, because we're quite hungry and sure that this restaurant would be good as usual. They're located on 3rd floor, next to the escalator (if you took the same as me) There's a big sign board "Seribu Rasa" and the staffs were so friendly and looked good in Indonesian traditional dress. This restaurant has some dining area, and they had private room too, so they're big enough. There's a lot of big table for big amount of people. Actually when I was there, they're not too busy, because they just opened. The ambience was really great, all woddy interior and relaxing view with warm lighting, I love the concept. Even they're modern but still not lost their traditional touch by the ornament they used. There's a huge cabinet where the brandy's bottle has been set up. I rarely find that stuff in Indonesian restaurant. They have wide variety of food, and mostly seafood. Food are served in unique and unsual cooking style, and makes me so interested to try it. Next menu, I had Golden Prawn Siam Style.They're fried prawn sauteed in salted egg sauce. I always love salted egg combined with seafood, they're a perfect match ! They're so crispy , you could eat them all in single bite, the taste of their golden egg yolk sauce was so damn delicious !! One of the recommended menu here, and whenever you came here, just try it and you'll be satisfy. But there's one bad thing, the portion was small for me HAHA. Because, I really like them. As the dessert I had Es Campur Seribu Rasa, one of the best seller here. Actually they're an usual Indonesian es campur, contain of grass jelly, pacar cina, kolang-kaling, merah delima, jelly and nata de coco. Top with mango flavoured shaved iced and coconut milk. So fresh ! Love them a lot, nice presentation good taste. Not too sweet for me. Really nice option to finish your dinner. 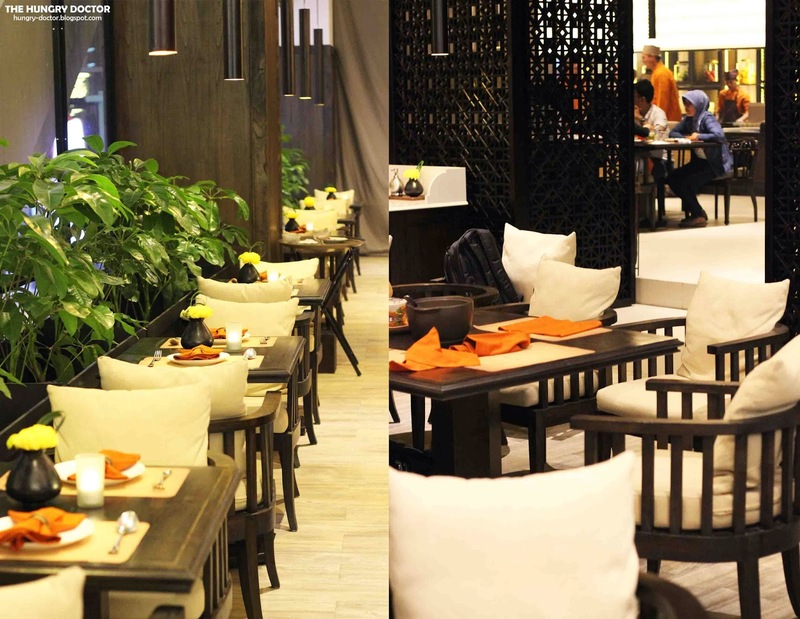 For you who like Indonesian and Asian taste, you should come and try Seribu Rasa. Beside seafood, they also serve poultry and meat, so if you who allergic to seafood, you can enjoy this restaurant too. Now, if I met foreigner friends I always recommend Seribu Rasa for them if they want to eat Indonesian food. All the price exclude 10% tax and 5% service. Enjoy the fascinating gastronomic journey of "One Thousand Flavours". 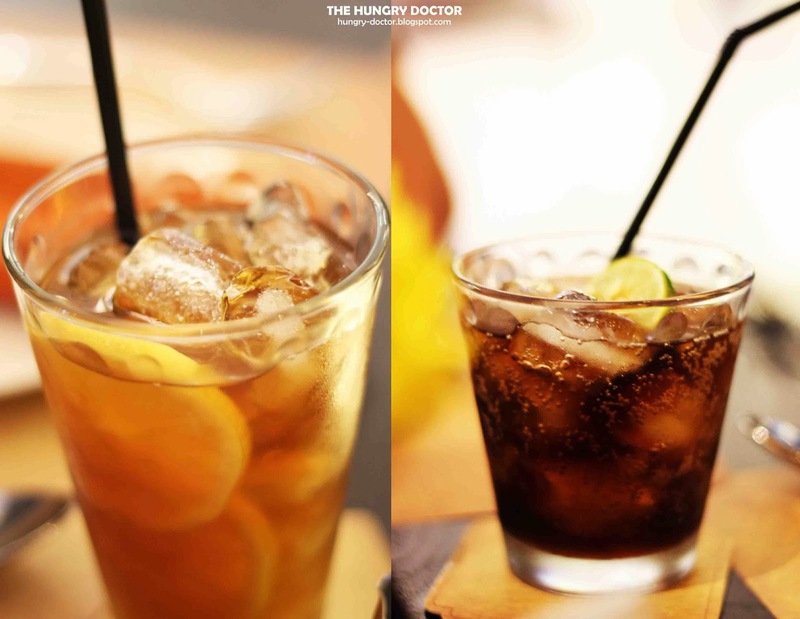 Oh yeah, I also want to introduce new feature on my blog, now you can BOOK from this post directly, after finish read this post, you'll find a widget called "Magic Button" HAHAHA kidding :p but it's true that now The Hungry Doctor has Booking Feature powered by www.qraved.com, and it's so user friendly !! You'll get a lot of benefits by booking from this site, just click on it to know more !! more you book, more points you get, more cashbacks you earn ! !